Hi all – I’ve been super quiet on the blog this week because getting my new sewing room up and running has been an all-consuming process! For those following the Blooming Wallflowers Quilt Along, the next post will be up soon, I promise!! In the meantime, be sure to check out this informative post about planning your quilting. I shared it over on my buddy Amy Smart’s blog at Diary of a Quilter. It’s an inside look to how I plan my quilting. 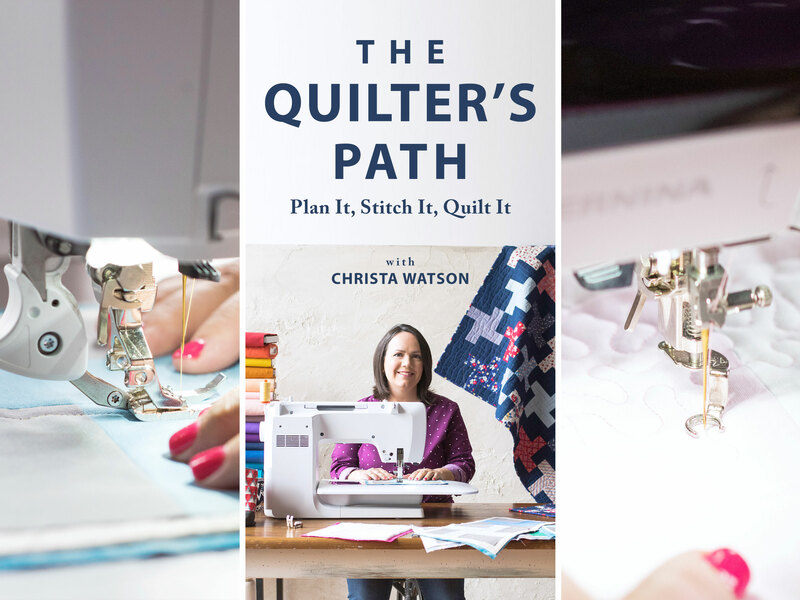 This will be helpful for those of you quilting along with me, or wishing to figure out how to plan your own quilts! This week I’m getting my Ikea Sewing room cabinets installed and I can’t wait until they are finished! They are actually from their custom kitchen department but they will work wonderfully for my space! The whole unit will have covered doors with sleek handles so that I can keep the mess out of sight. Once the cabinets are finished, the flooring will be installed and then I can start moving my sewing stuff into the space. I can’t wait to share the final reveal! I have to say that working with Ikea, and their authorized partner Traemand installation has been wonderful. There have certainly been hiccups along the way, but they’ve handled everything with such professionalism that I would highly recommend them! Here’s hoping I have room for all my stuff, LOL! My living room area is nearly put together. We started with the teal green leather sofas and I had ordered some upholstered swivel chairs with a really fun print to create enough seating. Because it was a really large U-shape, I knew we needed an oversized coffee table that could be reached on all sides. I found one online and took a risk buying it without seeing it in a a store first. But when I found out it was called the “Watson” table I knew it was meant to be!! It fits the space perfectly and I’m very pleased. We purchased contrasting red barstools to give the kitchen area a pop of color and added in some yellow pillows to get away from the green monochromatic color scheme. Now I need to add in a few more red/yellow accents to complete the look and of course find the perfect area rug to pull it all together. Upstairs, my sewing studio is a bit of a mess. We had additional lighting installed in the ceiling and it makes such a huge difference! I’m currently waiting on getting cabinets installed from Ikea and then we can finish the flooring. We added a floor plug in the center of the room for my sewing machine table, and moved a couple of electrical outlets so the space will function how I’ve envisioned it. Cabinet installation is scheduled for next week, so I’m keeping my fingers crossed it all goes smoothly! My yardage for sale is stored in the guest room which was most recently used by my son Ryan before he left for his mission. My older son Jason is moving back from Idaho to live here and work for us for awhile, so now I’m glad I have the extra room! In getting my house organized, I realized I needed to re-arrange my little Christa Quilts store, too. This is where I offer all of my own designed patterns, threads, books and fabrics for sale. I’ve been getting requests to purchase my fabrics in one-yard increments so now you can! Click here to order yardage of any of my collections: Modern Marks, Fandangle, and Abstract Garden. To purchase more than one yard, select the color you want, and click “add to cart” for each yard. Then I’ll cut it into one continuous length. Now I need to go plan which room to work on next! So much to do, so little time!! Home Update Week 6 – Save 10% on Your Entire Order! Whew! I can’t believe it’s been 6 weeks since we decided to move. We’ve now been in the home for 3 weeks and there is still. So. Much. To. Do!!! But we are making great progress each week. The interior painting is finally done, and Jason installed shelves for me in the laundry room. I’m enjoying adding touches of color to our home! In our previous home we had really nice wood cabinets in the laundry room, but discovered that we never used them. Things got shoved in there, never to see the light of day. So this time around, I think shelves will be much more functional and will provide tons of space for all of my cleaning essentials. I’m excited to have a utility sink and there’s plenty of room for a folding table too, once the appliances are moved in. Dining Room before and after: darker versus lighter teal. The other big change we accomplished was swapping out the dining room paint for a lighter, more muted teal. At first we had painted it a very dark turquoise, which I loved on the sample card, but realized quickly that it was way too intense and didn’t quite match the rest of the house. Once we changed it to a softer tone I was much happier. Yes, it cost a little extra for paint and labor, but in the end, It was totally worth it! The kitchen area was a huge selling point for us and is truly the heart of this home! Our kitchen area is in the focal point of the home and really sets the color palette for the downstairs area. The backsplash is a really pretty teal/green/blue combo which looks fantastic against the dark gray/brown cabinets and silver appliances. I’m waiting to purchase barstools until the rest of the living room furniture has been acquired to ensure it all harmonizes together. So be on the lookout for more updates as they happen! I want to incorporate more quilts into my decorating, too! I’ve draped my LatticeWork quilt on the couch which adds a fun pop of color, while being super cozy for cuddling!! Now I’m just waiting for the rest of the living room furniture to arrive. My sewing room will be the LAST thing to get set up in the house but that’s okay since I don’t have any sewing deadlines until the end of next month. In the meantime, you can take advantage of this week’s sale: 10% off anything and everything in my store at shop.ChristaQuilts.com. Use code MOVE6 at checkout, and thanks for your support of our latest adventure!! Moving Update Week 5 – Buy 2 patterns, get 1 free!! Yep – we’re still moving, LOL!! On the one hand it feels like this process is taking forever. But then I realized that most people take months to pack or even make a decision about purchasing a home. From the time we decided to purchase until we started moving was less than a month, so there really hasn’t been much time for dilly-dallying, much less planning and packing ahead of time! We’re getting as much ready in the new house as possible, moving a bunch of stuff and then immediately putting things away – no living out of boxes! Our dining room (above, right) is nearly finished. I really love color in my home, but I fear the teal is a bit too intense for the softer seafoam green couches in the living room (in progress on the left). Some accent chairs are coming soon, and then I’ll make a final decision as to whether or not I’ll need to repaint. We’ve gotten in most of the new furniture we ordered, and have moved in most of the essentials (except my sewing room – that will be the last thing to get organized!) We are living in the new house now while we work between both houses. In the guest room next to my sewing studio we added shelving in the corner to hold bolts of my fabric yardage for sale. There’s plenty of room for a bed, dresser and desk. Plus, there’s lots of storage space in the walk-in closet. My son is currently living in this room until he leaves for his mission in China next month, so he took over some of the empty shelf space in the meantime. We got a lot done this past week, but we haven’t moved over the printed patterns yet. you’d be surprised at how heavy a box of patterns can be! And with 14 patterns under my belt (with more to come) that’s a LOT of boxes!! Use code MOVE5 during checkout at shop.christaquilts.com to buy 2 patterns and get 1 free. Click here and use code MOVE5 at checkout for the pattern discount. My kids will thank you as this means less for them to pack up!! Don’t worry, even with all of the moving craziness, my Blooming Wallflowers QAL still starts on Friday, so watch for the first post. If you haven’t purchased the Blooming Wallflowers quilt pattern yet, now is a great time to grab it, along with 2 more of your faves. Now it’s time to pack up more stuff!! We are making great progress on our new house, but there’s still a ton left to do! Last week, we got several of the rooms painted and started moving things into closets. My daughter is thrilled with her new pink room and now we are just waiting for her furniture to arrive from Ikea. Since she will be the only child living with us once my son Ryan leaves for his mission in China, we wanted to make sure she’d be happy in the new place. Before and after pics of painting Jenna’s room – she loves it! My sewing room will probably be the last room to get organized, so I’m continuing to have a different weekly sale to cut down on the amount of things we’ll need to move! Click here and use code MOVE4 to save 10% on all precuts, bundles and kits. 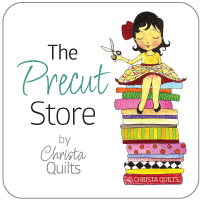 All precuts are on sale, from all 3 of my fabric collections. Use code MOVE4 at checkout. It’s kind of crazy to think that from the time we thought about moving to the time we closed on the house was just 3 weeks, but that’s kinda how I roll. When I’m ready to do something, I usually throw all of my effort into it ASAP!! Fortunately, my schedule doesn’t get busy again until mid February, so for now, getting moved and settled is my full-time focus!! Jason is testing out the sofa while I rearranged the furniture in the store. Fortunately the sales person was very accommodating of our request to move things around, LOL. I grabbed the red pillows from another couch and paired it with a dark leather ottoman from another display, just to see what it would look like. I haven’t settled on the final accessories yet, but we ended up purchasing two of the longer couches to fill up more of our living room space. They are super comfy!! Click here to purchase yardage from all 3 of my fabric lines. Right now I currently have bolts of fabric from all 3 of my collections stashed in various places in my sewing room. In the new house, we plan to build shelving to display it and add a pop of color to the room. However, the amount of storage will be limited, so please help me clear out a few of the extra bolts before we move! Use code MOVE3 at checkout to save $1 per yard. You can order the fabric in 2 yard increments and I’ll cut it into one continuous piece. Click here to get yardage from Modern Marks, Fandangle, and Abstract Garden. From our family to yours, we wish you a very Merry Christmas and a Happy New Year! This month has seen a lot of excitement for our family, with the decision to buy a new home, and now some amazing news about our son Ryan! He has chosen to serve a church mission for the next 2 years and we just got the notice that his assignment will be in Hong, Kong, China! For those of you that our curious, all young adults of our faith (The Church of Jesus Christ of Latter-Day saints) are encouraged to serve for 2 years after they graduate from high school. Young men can choose to serve once they turn 18 and young women when they turn 19. They can submit their applications any time before they reach the age of 26. Ryan received his call the same day we traveled to visit family for the holidays. It was so special to gather together and share the exciting news with them. It’s a very special time when a missionary decides to make this huge sacrifice and they never know ahead of time where they will be called. 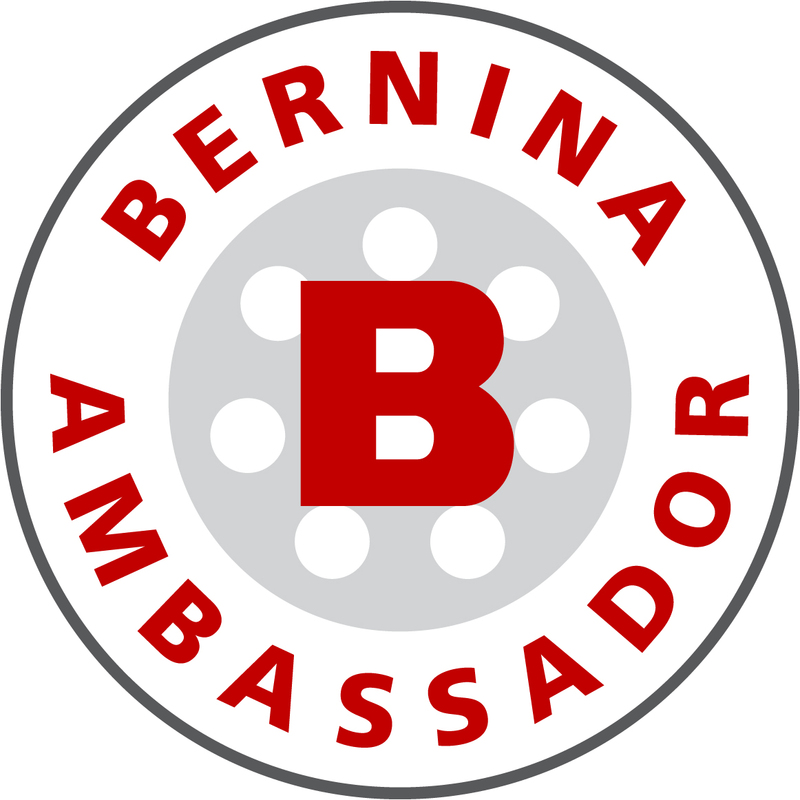 For example, some of my kids’ friends have recently gone to such diverse places such as Liberia, South Africa; Rome, Italy; Auckland, New Zealand, Kansas City, Missouri; and Salt Lake City, Utah. So it can really be anywhere in the world. As you can guess it will be quite an adventure! They first travel to the missionary training center in Provo, Utah for a few weeks to prepare before they head out to their assignment. Those that will be learning a foreign language will stay at the MTC longer so that that they can begin to learn the language. It’s always amazing to see a young adult not know how to speak a particular language and then come back fluent in that language 2 years later. Ryan will be speaking Mandarin Chinese on his mission and he’s up for the adventure!! Ryan leaves in February which will be here before we know it! When he first applied, I was a little worried that his leaving date would coincide with my busy teaching schedule which picks up again in February. Fortunately, he leaves about a week before I go to QuiltCon, so thank goodness the timing works out! The coolest thing is that at the end of his mission, we have the option to fly to China to visit him and bring him home. I’ve already told the kids we’ll plan a family trip in 2021. I’m not sure if there are many quilters in Hong Kong, but if you know of any – please them know I’m coming! Needless to say our family will have a busy 2019 but I’m ready to bring it on! Christmas with cousins is the best! Even though they are much older, my children love hanging out with my sister’s kids: Jacob, Katelyn, and Ethan. And as moms out there already know – it sure is hard it is to get pictures of kids with everyone’s eyes open and looking at the camera, LOL!! Here’s to a fabulous 2019!! Now that I’m back and rested from my trip to Australia, I thought I’d share some of the highlights. I was invited to travel to Tasmania and Adelaide to teach machine quilting and it was soo amazing! I couldn’t pass up the opportunity to bring my family with me. They had lots of adventures while I was teaching, and I was able to participate with them on my days off. If you’ve never gone on a long haul flight, I have to admit it was pretty tough. It took us about 24 hours to get there with multiple layovers, one long 14 hour flight in which we had to sleep on the plane (so not fun) and of course a huge adjustment in time zones. But the hubby and kids were up for the adventure and fortunately our first day there was a recovery day so it didn’t slow us down too much. The kids loved walking on the tarmac to board the plane on one of our connecting flights. Sleeping on the Airplane is not very comfortable!! I had a full play day scheduled in Tasmania before I had to teach and we were able to visit a local museum and animal sanctuary. I learned a bit about the country’s history and got to cuddle with some koalas and kangaroos! This art piece from the museum looked very quilty. I enjoyed learning about the region’s history. The Bonorong Wildlife Sanctuary in Tasmania got most of their animals as rescues. Many times the mama kangaroos are killed on the roadways while carrying Joey’s (baby kangaroos) in their pouches. They raise the babies and protect other native wildlife so they can thrive. It was fun to pet & feed the kangaroos. Can you see the joey sticking out of mama’s pouch?? Jason was our designated driver and it took him a few days to recover from driving on the “wrong” side of the road, but fortunately I was able to use that analogy when teaching free-motion quilting. I told my students that It takes learning a new motor skill while both driving AND quilting, LOL!! It took awhile to get used to the view from the “wrong” side of the street while driving!! Student work in class – I love the variegated thread! Souvenir from the Tasmanian Modern Quilt Guild – I’ll wear it with pride! While I taught, the kids were able to travel to what they called “The End of the World” – the southern most tip of Australia. Really you can’t travel much further south without being in Antarctica! View from “the end of the world”! It wasn’t really but the kids had fun calling it that! By the way, I loved taking notice of all the cultural and language differences between our two countries. The most interesting thing I noticed at each restaurant we visited was that they gave us a container and glasses for us to pour our own water, rather than serving us glasses of ice water and constantly refilling it. It’s actually more efficient I think, and my younger son who prefers not to have ice in his drinks was thrilled. There’s a large Asian population in Australia which meant lots of yummy Asian restaurants to try! TimTams are the best “biscuits” we’ve ever had so we made sure to stock up!! After our jaunt in Tasmania (with delicious food and amazing hospitality) we took a hop over to Adelaide for the next leg in our journey so I could teach at the Australian Machine Quilting Festival. I lectured and taught for 3 days straight and the most fun thing to realize is that quilters are amazing and enthusiastic, no matter where in the world I travel! I enjoyed chatting with Cindy Needham and Helen Stubbings from Hugs ‘n Kisses after a day of teaching. Cindy was one of those inspiring teachers who came to my guild about 10 years ago that made me realize I wanted to travel and teach, too! 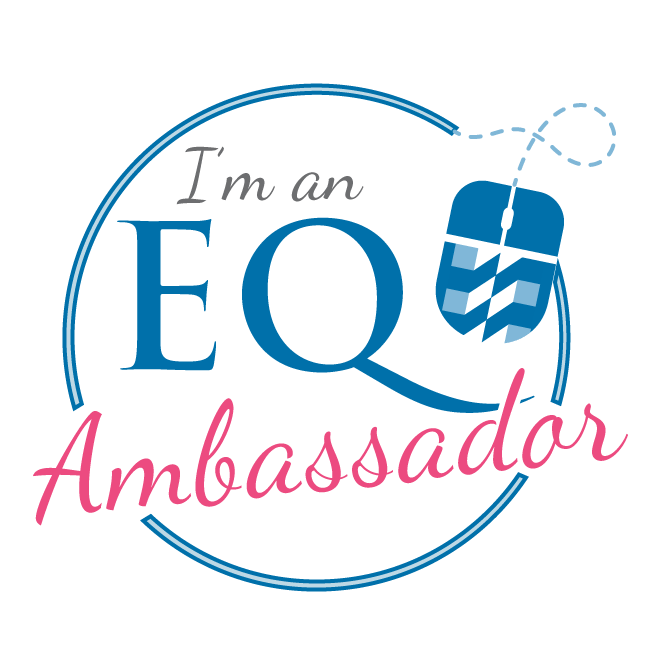 Helen invited me to her guild in Tasmania and it’s her sister who invited me to teach at AMQF. I love a creative quilting family!! I taught 3 machine quilting workshops and one piecing workshop. Students worked on their versions of my Modern Logs quilt pattern and it’s one of my favorite piecing workshops to teach because everyone’s blocks turn out so differently, but are still soo amazing! I love hanging out with fun quilters worldwide!! 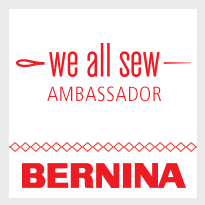 BERNINA Australia generously provided sewing machines in class for everyone to use. While I taught in Adelaide, the family had even more adventures. They went bike riding out in the country, and did some rock climbing guided by my oldest son. This Koala knows how to pose for the camera! We were there for a total of 12 days including travel and my daughter who is still in school diligently kept up with her homework while we were gone. I’m so glad the timing worked out for all of us to go (the older boys head out on their next life adventures this fall). The kids had as much fun with their outdoor adventures as I did teaching! This is the one adventure I was ok to miss! My oldest son is quite the climber so he took the rest of the family on a SAFE rock climbing adventure during one of my workshop days. I’m so glad they use LOTS and LOTS of ropes! One of the highlights of the quilting festival was getting to put a teacher ribbon on my favorite quilt. Not only was I blown away by the quilt in the shape of Australia, but the maker machine quilted it herself, adding lots of wonderful texture to the surface, without overpowering the pieced design. Do you have a fun place that’s on your bucket list to visit? Leave me a comment and let me know!